If you follow me on Instagram, you might have seen that I’m in the process of adding some board and batten in my Great Room. 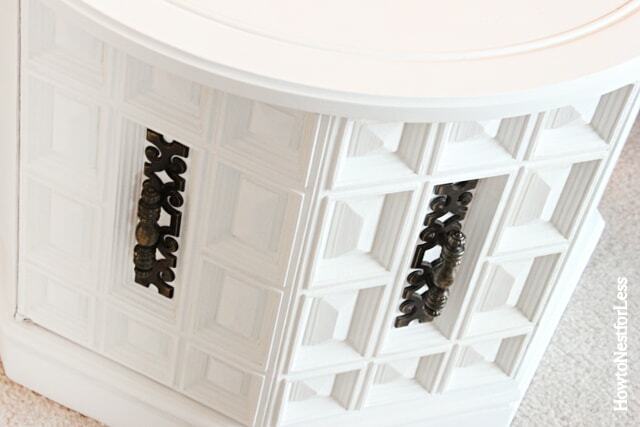 Yep, we’re giving this space a little makeover with some new millwork, textiles and furniture… including this piece. I found this puppy at Goodwill a month or so ago for $12. 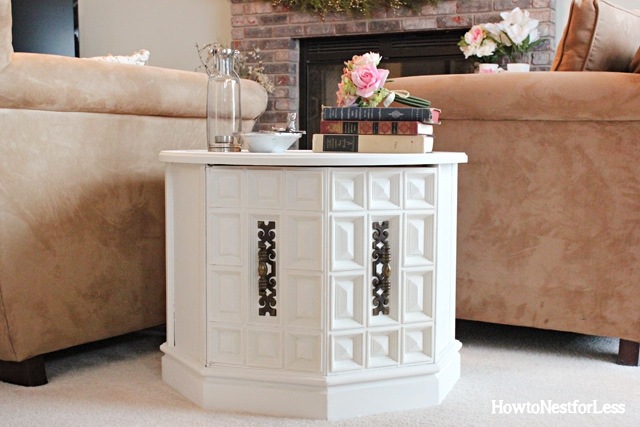 I loved the ornate detailing and thought it would look perfect in my Great Room. The only problem is that it really didn’t pop against my light brown couches. So in came the Pure White from Annie Sloan Chalk Paint. And if you’ve read my blog before, you would know that I love this stuff. You can see all my various ASCP projects here. I have the entire table two coats of the chalk paint. I always water down my paint with water so it goes on smoother, but then my projects always seem to need two coats to cover. 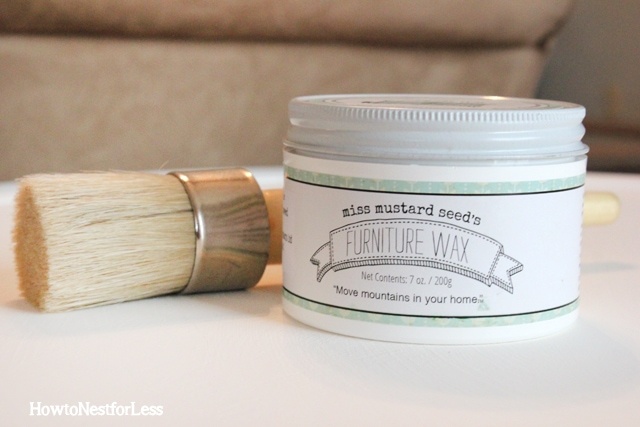 Once the paint was dry I gave it a quick coat of Miss Mustard Seed’s furniture wax (yeah, I was all out of Annie Sloan wax and Miss Mustard Seed’s wax is just divine). I left the original hardware as is; I love the natural aging of the metal. I also didn’t use any dark wax or distress the edges of the table, but I might end up changing my mind once I get the rest of the room in place. Definitely leave as is. Nice an bright looking, and the White accentuates the straight lines, and makes a statement with the hardware. I have piece similar to this one. Awesome job! I think you should leave it as is. It looks perfect between your couches.Great find for only 12 bucks! Leave it as it is. I love how the hardware stands out and it makes you look at it closely. LOVE IT and what a great find for $12. It looks great! Definitely keep it as is! Love it! Thanks Crystal. I think I will keep it as is for now! Haha, thanks Cathleen! I’ll leave it as it is. Hmm… if I find it’s twin, it’s all yours! Hmm… if I find its twin, it’s all yours! Love it! Love it!!! 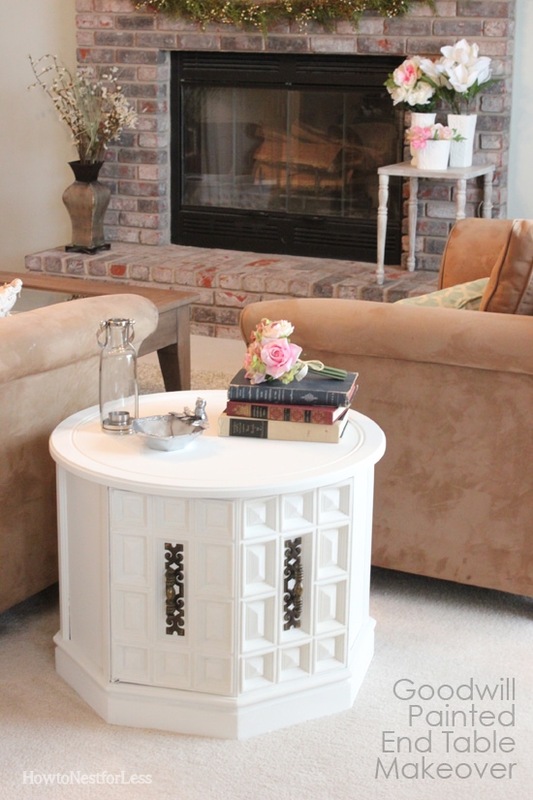 But…are you painting the fireplace white too?? Table looks modern. We’re actually going to do a white wash on the fireplace! We’re adding some board and batten now, then the fireplace makeover is next! Looks beautiful! I love all the details; what an amazing find! 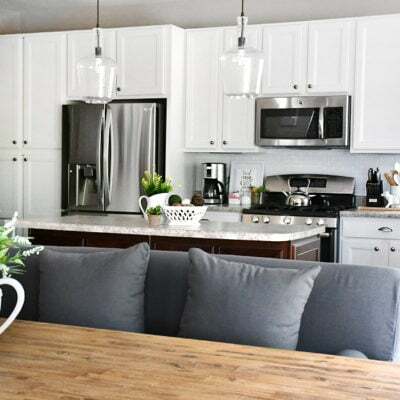 Love this table and also your Kitchen redo. I am scared to paint furniture and cabinets because i worry about the paint chipping off. What do you use to prevent this? To prevent chippping I’ll used a poly coat or wax. If you let the paint properly cure though, use a nice grade of paint and prime the surface, you shouldn’t have a problem. I painted my kitchen cabinets last year and haven’t had one chip yet! Very pretty white! 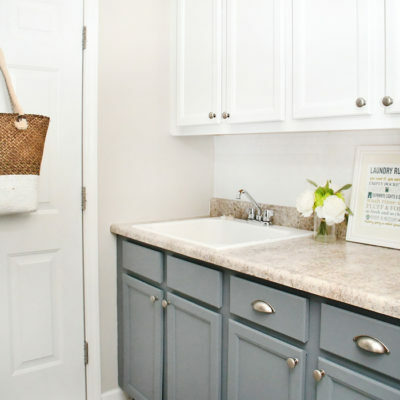 I wouldn’t distress it, but… this might sound crazy but I’d paint the fixtures maybe a light blue? I found you today from Today’s Creative Blog Linky. I hope you can stop by my blog and leave a comment, too! Thanks for the idea Megin! I have a lot of light blue in the room: accent pillows, an end table and accessories. You definitely guessed my color scheme! Wow. I love this. I can’t wait until it warms up so I can try to find some furniture to makeover. So jealous. I would love it if you would share this at my link party. I can only echo everyone else – leave it the way it is – I cannot believe how beautiful it looks. 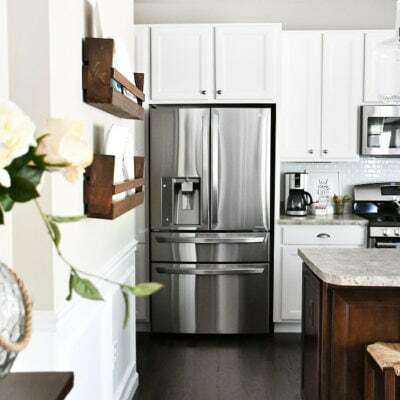 I am going to be checking out my thrift stores for something like that because I really wouldn’t have thought it would have become so MODERN looking and yet old and gorgeous! I love your blog! I tried finding your post about why you like chalkboard paint but I can’t find it. Do you think it goes on better? Just curious as I love paining furniture. 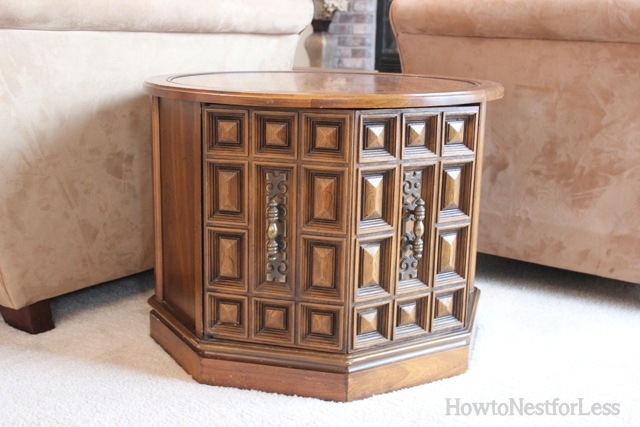 I also see similar end tables at Goodwill and have always loved the detail. I love Goodwill and have found beautiful things. 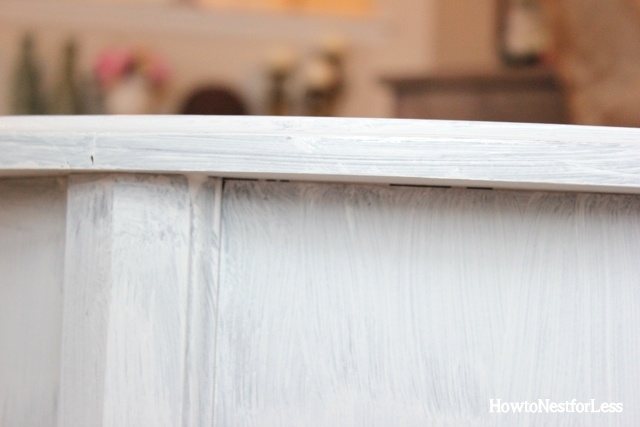 I love chalk paint since you don’t have to sand or prime beforehand. Plus chalk paint seems to hide painting errors really well! 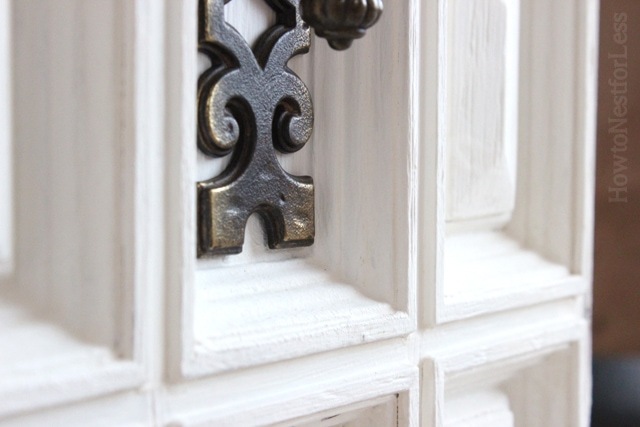 Looks great with a clean coat of paint, or when distressed. Good luck to you! Trust me, you’ll love it! I’m going to try it! I don’t have any retailers close. Do you order online? And if so have you had any problems? Vachelle, yes you can order online. 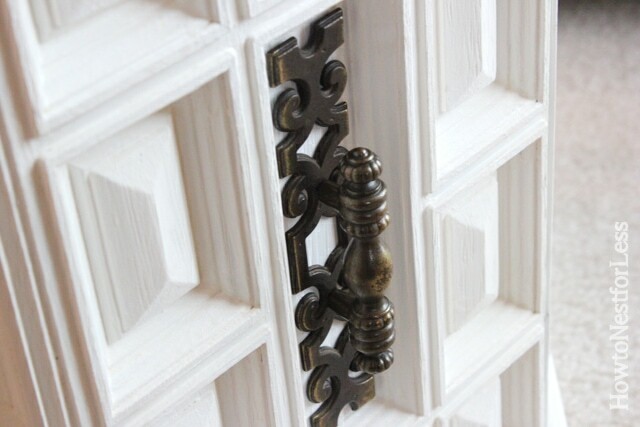 I usually purchase mine from Wood Icing: http://www.woodicing.com/html/products_main.php. I have never had any problems with the product or with shipping. Sometimes you’ll have to water down the paint to make it a little smoother or thin it out a bit. Good luck to you and don’t hesitate to send me questions! 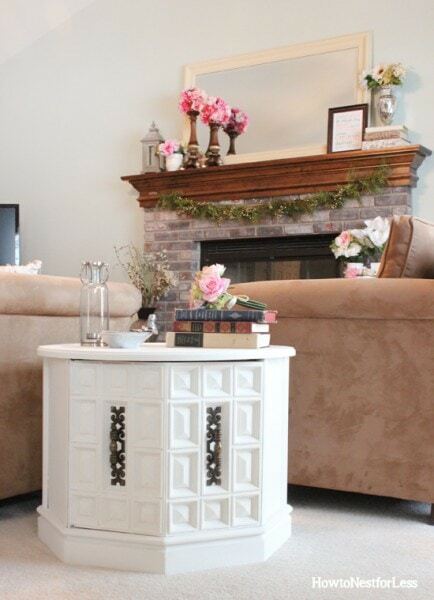 Thanks to your little table here, I went out and bought me some Annie Sloan. Quick question for you. 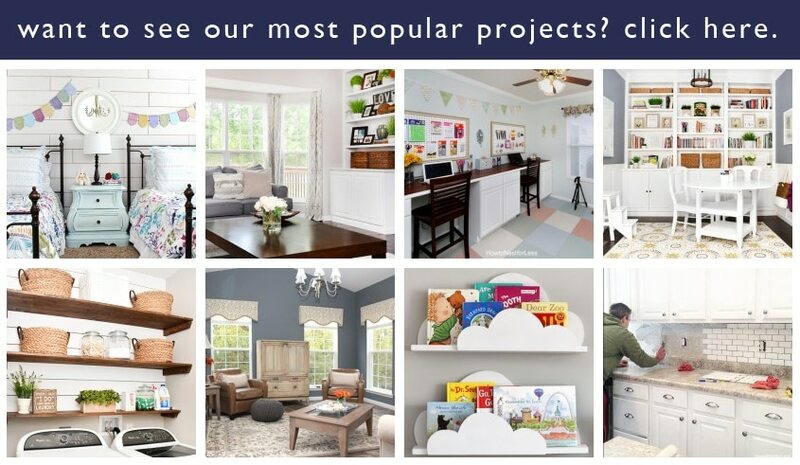 I’ve done some research, but I always like to ask those who have done projects I am in love with – what kind of brush do you use, for both the paint and the wax? Yep – I bought the wax too. Whooo – so excited. Thanks mucho mucho. Love your table! 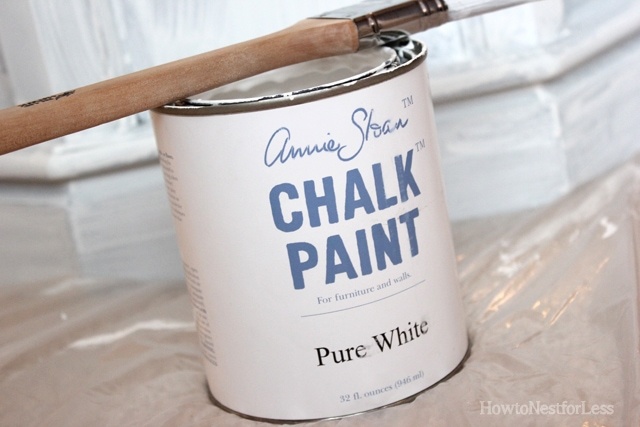 I recently tried Annie Sloan chalk paint-I love the paint but can’t seem to get the hang of the soft clear wax. I have tried using a brush and a soft clean white cloth. (Haven’t bought the wax brush yet) I painted a dresser with 2 coats of old white, then waited 24 hrs, then tried to apply the clear wax thinly. It is streaking the paint…any suggestions or tips? I just put another coat of the white paint on and am unsure what to try to now. Would a poly be good to try? Any help would be appreciated! Hmm… that’s really weird! I can’t believe it’s streaking the paint. Do you mean it’s kinda thinning the paint where you can see some of the wood through again? I would try another coat of Old White and then wax again in super thin coats. Poly isn’t the best coating on ASCP. Do you need to wax at all? Sometimes I just like to leave the paint as is with no wax to keep the brighter Old White color. Let me know if this helps! It’s looks beautiful! I am doing one of these right now, I think I’m going to distress mine, did u paint the inside or did u leave it? 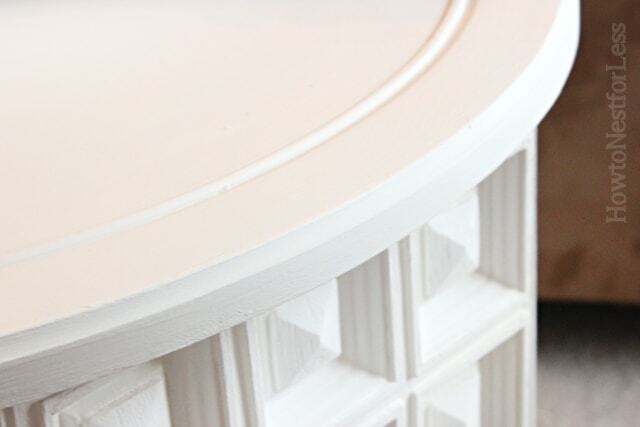 Do you sand first and use primer or just paint over the original finish..
Just painted over the original finish with chalk paint.